in commemoration of the church's fortieth anniversary. 1957: Home missionary Rev. Gerrit Boerfyn gathers together a group of what will become the Palo Alto Christian Reformed Church. The group meets in various homes (during fall/winter 1957 in Gerrit Sluys's home in East Palo Alto) and at the Lucie Stern Community Center in Palo Alto. Palo Alto offered a closer locale for four families in the group: members of the San Jose Christian Reformed Church who were living in Palo Alto and Redwood City. Seven families initially formed the core group, including a young family (Ed and Grace Gelderloos) moving from Los Angeles. December 12, 1957: A steering committee holds its first meeting in the home of one of the initial families, Milton and Ruth Smith, in order to find a permanent place of worship. Officers of the steering committee are: Rev. Boerfyn, chairman; Robert Feliciano, vice chairman; Milton Smith, secretary; Cornelius Zwackenberg, treasurer; and Gerrit Sluys, assistant treasurer. Mrs. Boerfyn is elected the Superintendent of the Sunday School. January 21, 1958: The steering committee decides to begin with 11:00 a.m. and 6:00 p.m. Sunday services. A mid-week service "is to be held in members' homes in rotation." The first full worship service occurs in late January or early February at the Women's Club Auditorium in Redwood City with 7 couples, 13 children and one single man. September 1958: Rev. Frank De Jong becomes the new pastor, replacing Pastor Boerfyn, who left the fledgling group in June to work at the Beacon Light Church in Gary, Indiana. Pastor De Jong begins Friday-evening catechism classes at his home for ages 6-9; he reports two weeks later that "children attend regularly and seem to enjoy it." A Gestetner mimeograph is purchased in installments, for a total cost of $260. October 1, 1958: The Executive Home Missions Board purchases a two-acre property on Arastradero Road for $15,000, containing a house (to be used as education space) and pumphouse (the current "dip in the driveway"), with a hundred feet of frontage. November 1958: After three exterminator visits (the previous owners had a garbage heap beneath the kitchen floor), the families begin worshiping in the house on the Arastradero property. During the first service's long prayer, a downpour breaks forth and worshipers discover how very leaky the roof is! The house is remodelled by volunteer labor and serves as a meeting place while the new chapel is under construction. November 19, 1958: Rev. De Jong "announces that the building plans have been approved by the city planning commission." Harold Camping is the contractor for the church; he used the same design for the Hayward CRC and the Alameda CRC. February 11, 1959: The first official meeting of the Council of the Palo Alto Christian Reformed Church. Council decides to hold meetings the second Tuesday of the month. Members present: Rev. Frank De Jong, Robert Feliciano, Milton Smith, Cornelius Zwackenberg, Frank ter Kuerst, Edward Gelderloos, Al Wiedert, and Gerald Kooyers. May 22, 1959: The new building/chapel is officially dedicated. It began as a fellowship hall//sanctuary and remains so today. In the summer of 1960 an additional one-acre parcel with 140 feet of frontage is purchased for $25,000, with the goal of future expansion. The parsonage on Los Palos Ave. was purchased in 1959 for $23,000 and has been used ever since. September 16, 1960: The congregation honored Rev. and Mrs. De Jong with a surprise celebration, marking the 30th anniversary of his ordination. October 12, 1960: Classis California grants permission to bring about the organization of the Palo Alto Christian Reformed Church; the consistory of the Moorpark Christian Reformed Church was appointed to carry out this work. 1962: The first of at least six SWIM teams over the years arrives from the Rocky Mountain League to assist with evangelism. In 1962 the congregation petitions Classis for the PACRC to become a calling church (separate from Home Missions), and in 1963 the church and property is officially designated as such. 1963: Rev. De Jong leaves for Hanford CRC (California) and is replaced five months later (June) by Rev. Henry Bouma. April 1964: The congregation approves the purchase of a Conn Classic organ. 1966: Miss Lois Slenk, an outgoing 20-year-old Reformed Bible College graduate, arrives for a one-year internship as a lay-evangelist; she stays for nearly 21/2 years. 1966: PACRC member Glenn VanderSluis (a Calvin Seminary graduate) begins teaching an Adult Sunday School class, which continued under his leadership many years until 1996. 1967: A trailer is purchased to supplement the expanding education needs. The house continues to be used for this purpose. During these years there is also a ministry with the local prisons, with a follow-up program upon prisoners' release. January 1968: Rev. Bouma accepts a call from Sunnyside CRC, Washington, to serve the Tri-Cities area of Pasco, Kennewick, and Richland. December 1968: Rev. Nicholas DeVries arrives as interim pastor. His preaching and personality are well liked by the congregation, many of whom see him as a perfect fit for what they need. Knowing he is temporary, efforts are made for a replacement. Ten calls to pastors are declined during this time. September 28, 1969: Roger Kok, a new seminary candidate, is installed and ordained as the new pastor. December 1969: Council passes a motion "to instigate a Coffee Hour immediately after the morning worship service." 1970: A SWIM team arrives for the summer. Rev. Kok reports that the average daily attendance at Daily Vacation Bible School is 125, with total enrollment about 150. 1971-1974: The church expands, with much unity and consensus throughout the building program. After deciding not to sell and relocate, the church expands and remodels the sanctuary, and adds an educational wing, landscaping, and parking lot (the existing house is demolished and the trailer sold). In 1974, the parsonage is also expanded and remodeled. June 1974: Rev. Roger and Joyce Kok leave for Pease CRC (Minnesota). August 1974: A preschool planning committee is appointed and empowered "to establish and direct a Christian Pre-School using the facilities of the Palo Alto Christian Reformed Church." Further planning for Young Life Nursery School continues. During this time Rev. Clark reaches out into the community, inviting families to enroll their children in the church preschool, begun by Emma Koffer and still functioning today. One of the original preschool moms, Joan Sakaldasis, still actively attends PACRC today. For older children there were Cadet and Calvinette programs. November 10, 1974: Rev. Dexter Clark is installed as the new Pastor. 1975: Council approves the broadcasting of the morning service on a local radio station (KPEN of Los Altos), but the available time slot was in the meantime sold to another church. September 14, 1975: Rev. Adrian Van Andel, a Veterans Administration Hospital Chaplain, is installed as Associate Pastor. 1978: Rev. Dexter Clark accepts a call to First CRC in Phoenix, Arizona. Summer 1978: Steve Monsma serves as intern pastor for the congregation. September 1978: Pastor Gebben arrives after pastoring a church in Wisconsin for one year and churches in Minnesota and Ohio (each for four years). 1979: New organ is purchased. 1979-1980: Council does a Missions and Projection Study. A SWIM team arrives for the summer. 1982-83: The Hymns for the Family of God hymnal is approved for hymn sings, and the New International Version Bible is selected as the new pew Bible. 1985: The church celebrates 25 years of ministry. Summer 1985: Mel Jonkman (seminarian, son-in-law of Sid & Ruth Kornelis) leads a SWIM team and preaches occasionally. 1986: Another SWIM team arrives for the summer. 1987: The congregation elects its first woman deacon. 1988: The evangelism committee reaches over 500 people in the community through a newsletter. After several years of debating and listing it as a budget line item, the church finally purchases a copy machine. 1988: After Pastor Nels and Bernie accept a call to Framingham, Massachusetts, a vision committee spends several months discussing and preparing a vision statement and goals for the church. The newly-adopted vision statement is CARE: Celebrate God's love for us in worship of Him; Accept each other and all who come to us as God has accepted us in Christ; Reach out to serve our community and proclaim God's act of salvation, Encourage one another to use the gifts God has given us. During these years there continue to be a Tuesday-morning women's Bible study (which is later held in the apartment complex adjacent to the church), a Wednesday-morning Coffeebreak Bible study (which continues for many years and does bring a few new Christians from outside the church), a young adult coffee fellowship, a young people's group, and cottage groups. The cottage groups, which eventually became Home Fellowship groups, provided some local outreach (such as visiting a nearby convalescent home) on a regular basis. July 1989: Rev. Henk De Young visits; the congregation votes to extend a call to him. September 10, 1989: Rev. Henk De Young is installed as the new pastor. He served previously as pastor for a small Home Missions church in San Francisco, the New City Church in San Francisco. September 12, 1989: Deacon Joan Snow attends classis as the elder delegate; some other delegates leave in protest. 1990: The church begins participating in Hotel de Zink, a ministry of UMPA (Urban Ministries of Palo Alto). Each August, the church building is used as a homeless shelter for about 15 guests, and congregation members provide meals. May 29, 1990: Council approves Young Life Christian Preschool Center as a full-day, full-year daycare and preschool program. February 1991: Diane Chambers is hired as YLCPC director. March 1993: The congregation approves hiring a church administrative assistant. Vicki Cok is hired for the position. April 1994: Gretchen Vander Plas organizes a youth band ("Jammin' 4 Jesus," later known as "Route 49"). July 1994: The Ad Hoc Committee to Explore Move Opportunity recommends a building program at our current location. October 15, 1994: The congregation honors Rev. and Mrs. De Young with a surprise celebration, marking the 25th anniversary of his ordination. 1995: Formal steps toward church growth are taken, and an expansion plan for the church is considered. The church has remained at about 40+ households during its history and the adjoining plot has remained undeveloped, but plans are to expand to include all of that lot. Around 1996, it is partially developed as a garden for UMPA. Summer 1996: A SWIM team serves the church and assists with VBS. February 1997: The Council approves opening the office of Elder to women. Children are approved to participate in communion, after expressing their desire to participate, their faith, and their understanding of the sacrament (affirmation of baptism). 1997: A weekly prayer meeting begins with several people meeting at church on Sunday afternoons. A monthly, informal "Prayer and Share" Sunday-evening service is introduced, where members can recount scriptural discoveries or give praises and prayer requests. The congregation elects its first woman elder. Fall 1997: Small groups or "CARE groups" are formed with the further purpose of sharing needs, getting to know the people around you-both within the church and to provide a smaller setting to which to invite unchurched people. Summer 1998: Vicki Cok begins a one-year internship; her responsibilities include directing the youth ministries, planning worship, and preaching occasionally. Fall 1998: The Gems and Cadets program for youth in grades 2-8 is begun. A group of six people attend the Willow Creek Church Leadership Conference in Chicago. November 1998: The church unanimously agrees to proceed with the final planning stages for the building expansion program. January-March 1999: Many members in the congregation complete a thirteen-week Alpha course (a discipleship program with a weekly dinner, video, and discussion time; and a weekend retreat), with an average attendance of 50-60 people. August 1999: The church hosts a sit-down dinner for the homeless guests of Hotel DeZink, in addition to providing meals for the month. Don Goehner of the Goehner Resource Group interviews most of the church families. His analysis and recommendation is to revise the church's expansion plans. January 2000: After years of enduring metal folding chairs, the congregation enjoys new, upholstered oak chairs in the worship center. During the weekend of Jan. 22 and 23, the church celebrates its fortieth anniversary with thanks to God for His continued grace and faithfulness. Pastors Bouma and Gebben, along with many former PACRC members, return for the celebration weekend. September 2001: Henk and Corry De Young retire to Broomfield, CO. A search committee forms beginning in the summer of 2000 in anticipation of Henk's retirement. John Timmer is interim pastor for 3 months at the end of 2001. The church extends one call and is declined. The Hanbit Bible Church (Korean) begins sharing the facility. 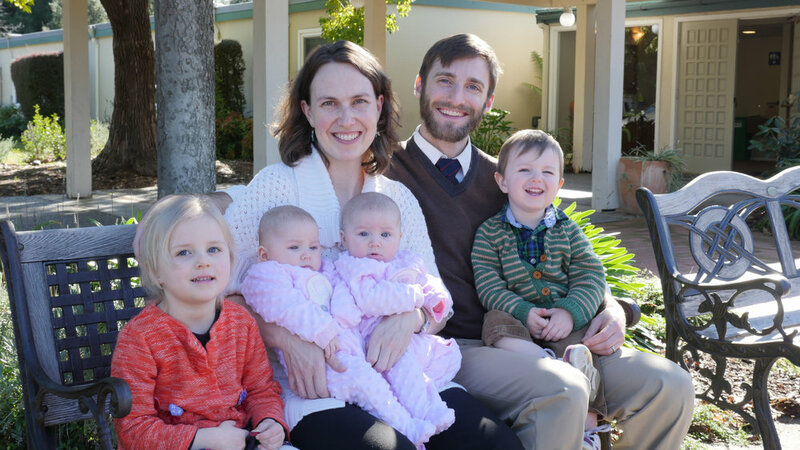 July 2002: Dan and Jewel Hutt begin their ministry at the Palo Alto Christian Reformed Church. 2003: The church begins the Natural Church Development process to help the council and congregation chart a way forward. Summer 2004: Several members of the church spend a week in Mississippi helping and learning at the John Perkins Center in Jackson. Summer 2005: The Youth Group participates in a project of service and worship in Sunnyside, Washington. Summer 2006: Several members of the church travelled to D'Iberville, Mississippi to help with Hurricane Katrina relief efforts (also in association with the John Perkins Center). Summer 2007: Fifteen PACRC members (8 adults and 7 youth) travel to Sutton, Alaska to work with Alaska Mission Adventures and Eaglecrest Youth Ministries. The group lead a week-long VBS for Sutton Community Baptist Fellowship and helped complete a roofing project. 2007: A group of Hispanic Christians from the Iglesia Apostolica de la Fe en Cristo Jesus begin to rent the facilities for Sunday evening services. Ecology Action and Common Ground enter into an agreement with PACRC to begin work on a sustainable garden on the church property. 2008: A Pentecost worship service in three languages was held in Baylands Park in Sunnyvale. The churches who participated are Hanbit Bible Church (Korean speaking), Iglesia Apostolica (Spanish speaking), and PACRC (English speaking). This became an annual event repeated in 2009-2015. Summer 2008: The summer service trip was to Rehoboth Christian School in Gallup, New Mexico. Twenty-seven members provided painting, maintenance work, gardening, cleaning, organizing, cooking, web-management, and childcare during their week of service there. Summer 2009: PACRC hosts Sam Lee of Calvin Theological Seminary for a Cross-Cultural summer internship. Fall 2010: PACRC celebrates its 50th anniversary with a large weekend celebration. The agreement with Common Ground is renewed. Zuz Drodzd becomes the garden manager and she begins to develop partnerships with local schools. 2011: The Congregation approves an Endowment Fund for sustainability of congregational life and development of new ministry opportunities. Summer 2013: Pastor Dan Hutt leaves the position of pastor of PACRC to join the ReWire ministry team of CRM (Church Resource Ministries). Five youth group members and three trip leaders go to the Nez Perce Reservation, in Idaho, on a summer service trip. Rhonda Workman, a senior at Calvin Theological Seminary serves as the intern pastor for 2 months. 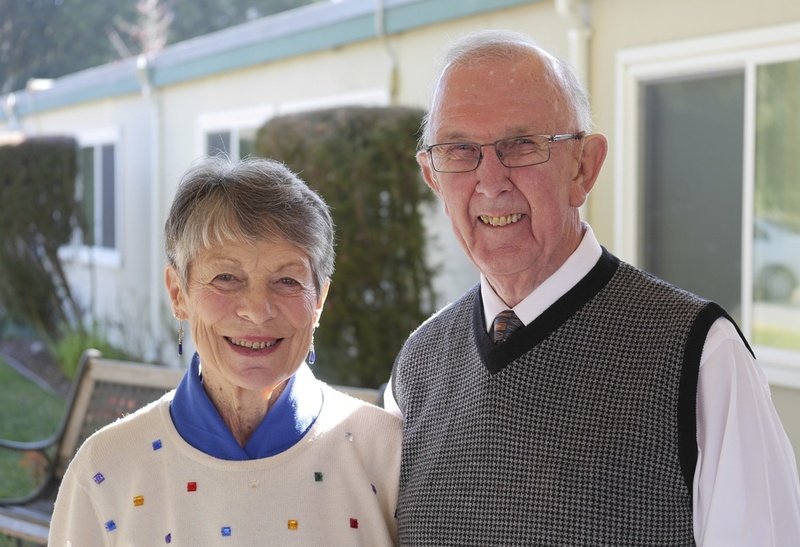 In September, Bert and Marie Van Antwerpen begin to serve as an interim pastoral team. And now it's 2018, and there have been a few additions to the Burns family!